Cucumber is a very fun and cool tool for writing automated acceptance tests to support software development in the behavior-driven development (BDD) style. In the BDD style, when a developer starts writing a test case, unlike writing a test method in TDD, he/she writes a “feature” belonging to a “story” which describes the feature’s expected behavior. The feature is a business-readable, domain-specific language. 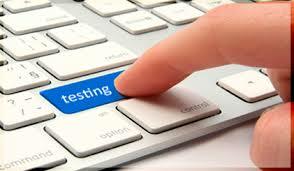 Then the developer runs and watches it fail; after that he/she implements the “feature” and makes the test pass just like the same process in TDD. So at its core, BDD is a specialized version of TDD that focuses on the behavioral specification of software units. 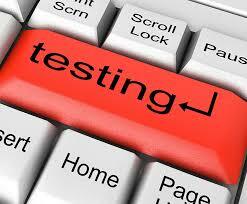 Run all tests and see if the new one fails. Run the automated tests and see them succeed. Repeat steps 1 to 5. 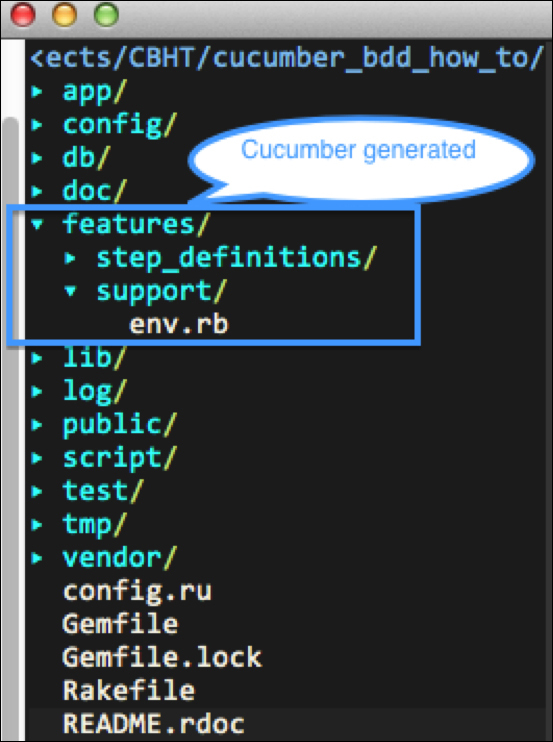 Cucumber is a tool for BDD-style development widely used in the Ruby on Rails platform. 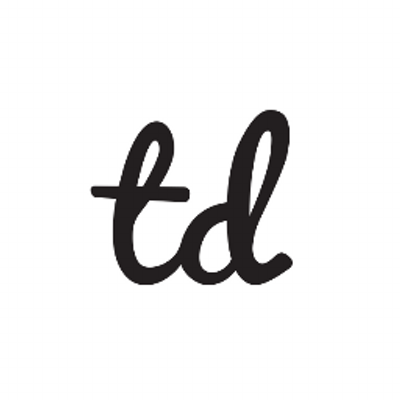 It introduced a domain-specific language (DSL) named Gherkin to allow the execution of feature documentation written in business-facing text, and implement acceptance test code in other languages (for example Ruby). Cucumber sets up a great bridge between business people and development teams. Its natural and human readable language ultimately eliminates misunderstanding, and the regular expression “translation” layer provides the ability for developers to do anything magical and powerful! Install RVM (read the latest installation guide from http://rvm.io). Cucumber is a Ruby gem. Feature files (their extension is .feature): Each feature is captured as a “story”, which defines the scope of the feature along with its acceptance criteria. A feature contains a feature title and a description of one or more scenarios. 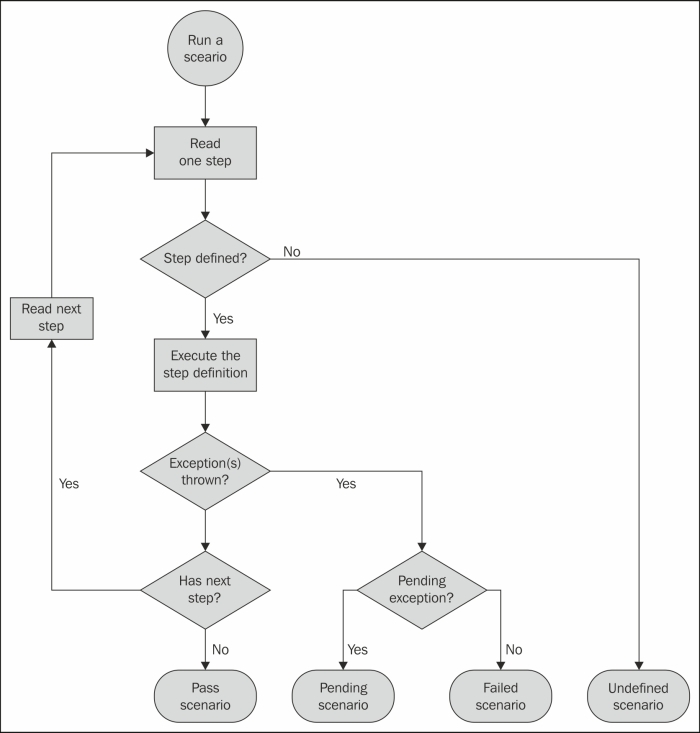 One scenario contains describing steps. Step definition files: A step definition is essentially a block of code associated with one or more steps by a regular expression (or, in simple cases, an exact equivalent string). Cucumber is not only for Rails, and the Cucumber feature can be written in many other languages other than English. We can actually write Gherkin in languages other than English too, which is very important because domain experts might not speak English. Cucumber now supports 37 different languages. In the first recipe we’ve already successfully installed Ruby, RubyGems, bundle, and Rails. To write our first Cucumber feature, we need a Rails application with Cucumber installed. So that I can developer in BDD style! 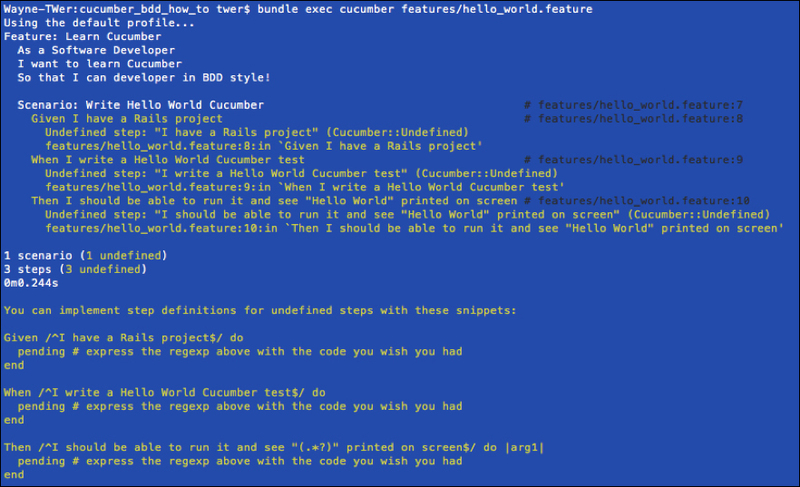 Create a hello_world_steps.rb under the step_definitions directory. Copy the code shown on the console and paste it to hello_world_steps.rb. 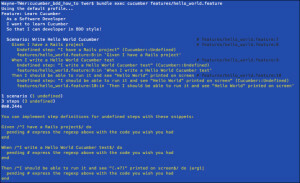 In this simple example, we wrote our first Cucumber feature named “Hello World”, it has one scenario, “Write Hello World Cucumber”, with three steps. We also implemented three step definitions and successfully made it pass. 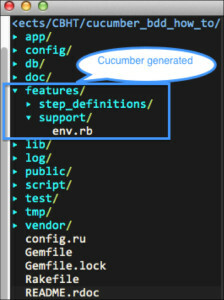 In the Cucumber feature, one step is usually started with a preposition or an adverb (Given, When, Then, And, and But), each step is parsed and corresponding to a step definition, in our previous example the last step accepts one argument to be passed in, which means you can put any word in the step, and we passed the string Hello World, so that it is printed on the screen. Luigi Cardarella	| Theme: News Portal by Mystery Themes.